What an important book this is. Dyslexia is a condition that can alter a child's course in life, socially, educationally and career-wise. Indigo Solves the Puzzle centres on the true-life story of Indigo who struggles academically at school, not because she is unintelligent but because she is dyslexic. She is bullied and doubts her own self-worth until her mother takes her for tests which reveals the true source of Indigo's difficulties. Fortunately for Indigo her dyslexia is discovered early and she is enrolled in reading programs. This has a positive flow on effect through to all aspects of her life. 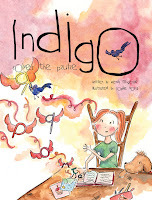 The book is written from Indigo's point of view. 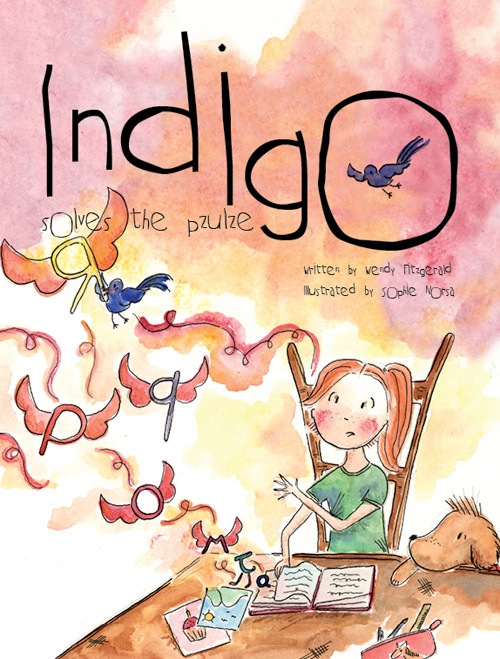 Young children encountering similar difficulties will easily relate to Indigo's story written in simple and direct language that is never didactic. Sophie Norsa's beautiful watercolour illustrations have a delightful playfulness about them. Yet, in the period of the story where Indigo is suffering most, Norsa's use of darker tones shows how devastated Indigo becomes. I particularly like how the bullies are shown as dark, faceless figures in the background. Real-life Indigo is remarkable, not only for dealing with the difficulties of dyslexia, but for her desire to help others. With her mother she launched the Indigo Express Foundation which assists with a literacy program for Aboriginal and Torres Strait Islander people. Parents and teachers will be particularly interested in the forward from Professor Kevin Wheldall of the MultiLit Research Unit at Macquarie University regarding the importance of early intervention in dyslexia. He also debunks the myth that dyslexia is almost exclusively a problem encountered by boys. Rather than being four to five times more common in boys than girls as previously thought, it less than twice as common. At the back of the book there is an information resource page with numerous website addresses.